A clean, naturally fragrant simple pleasure, available at every sink. 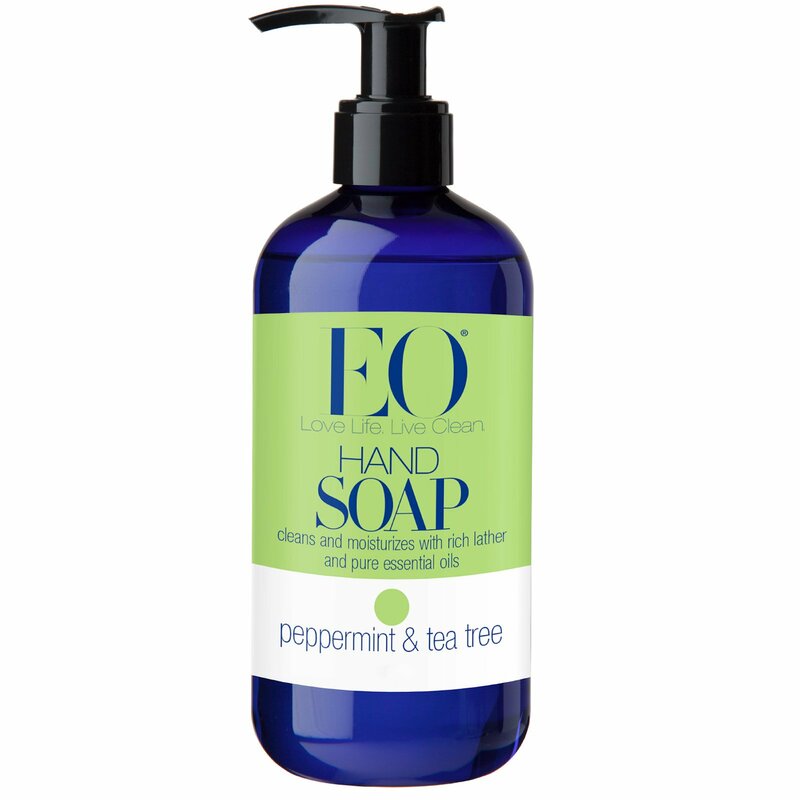 Made with a careful blend of essential oils and natural ingredients. Lather up. Wind down. Use a generous dollop for a luxe, fragrant lather. Rinse and breathe deeply. 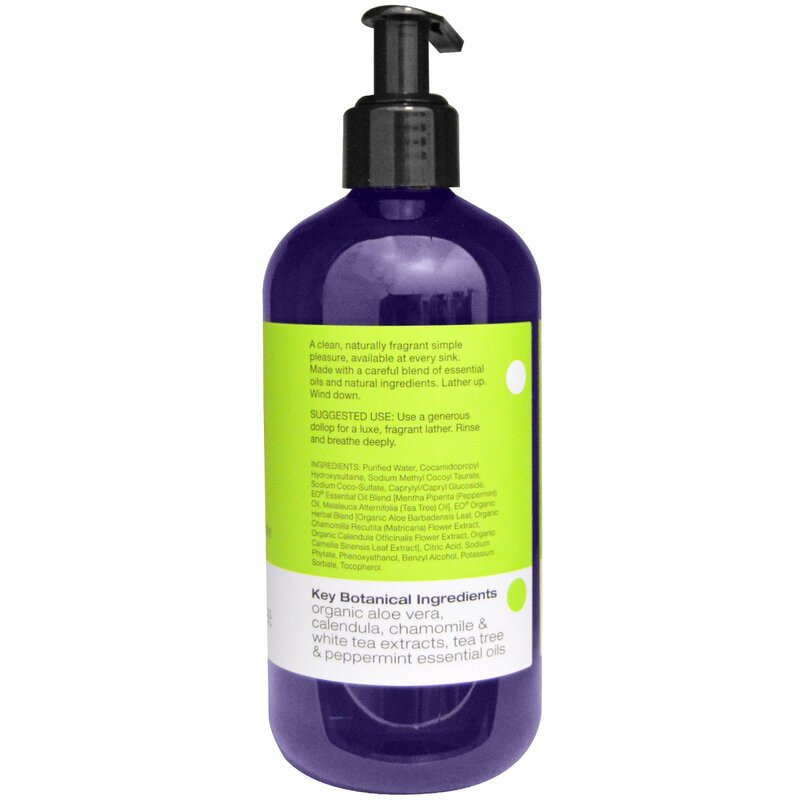 Purified water, cocamidopropyl hydroxysultaine, sodium methyl cocoyl taurate, sodium coco-sulfate, caprylyl/capryl glucoside, EO essential oil blend [mentha piperita (peppermint) oil, melaleuca alternifolia (tea tree) oil], EO organic herbal blend [organic aloe barbadensis leaf, organic chamomilla recutita (matricaria) flower extract, organic calendula officinalis flower extract, organic camellia sinensis leaf extract], citric acid, sodium phytate, phenoxyethanol, benzyl alcohol, potassium sorbate, tocopherol. Key Botanical Ingredients - Organic aloe vera, calendula, chamomile & white tea extracts, tea tree & peppermint essential oils.